Comments: What a deal!... In great shape, but may have highlighting or writing inside!... Select "Expedited Shipping" if you need your item fast! (Media mail is slow sometimes! )...I welcome APO/FPO military addresses and will ship your order fast! Richardson introduces the policy-making processes at work in the EU. This edition has been significantly improved to make it even more accessible for second and third year undergraduates. 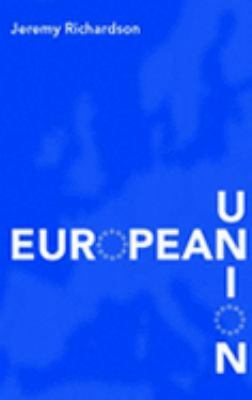 A website will also support this edition, featuring some of the more technical material such as statistics.Richardson, J. J. is the author of 'European Union Power And Policy-making', published 2005 under ISBN 9780415358149 and ISBN 0415358140. Loading marketplace prices 7 copies from $9.98 How does the rental process work?